As promised, I'm back with a new concept for my NHL Double Series. 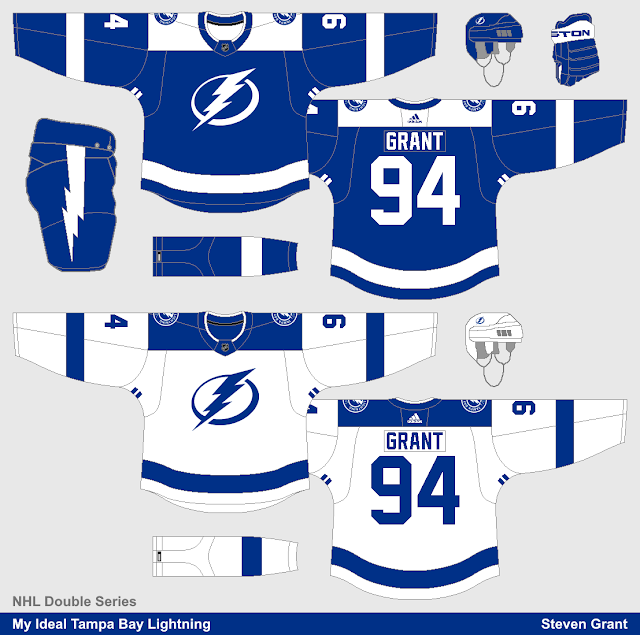 My "Ideal" concept is based off of the Lightning's current look but with a few changes, including adding contrasting yokes, using a brighter blue, removing any black, and (most importantly) bringing back the victory stripes. 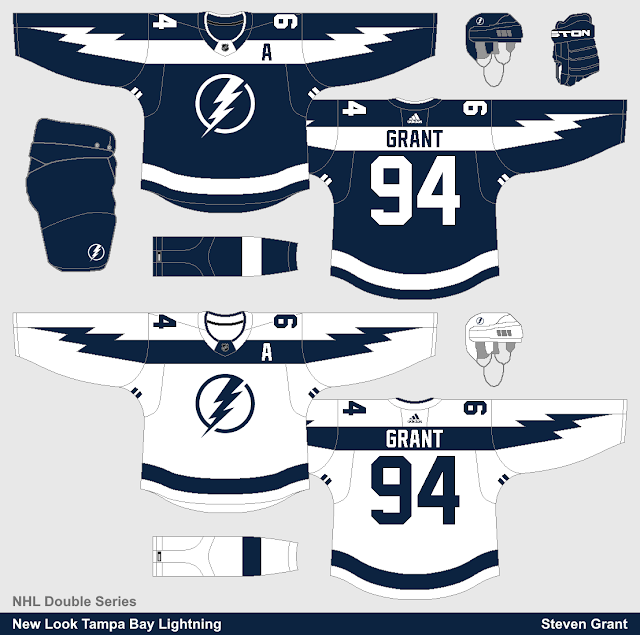 The sleeves of my second concept feature a lightning bolt design, which connects to form a contrasting name-plate on the back of the jersey. I also experimented with navy blue instead of royal blue, and used the circular bolt from their roundel as the primary logo. The name and number fonts are the same on both concepts, as they seemed to fit both concepts well.